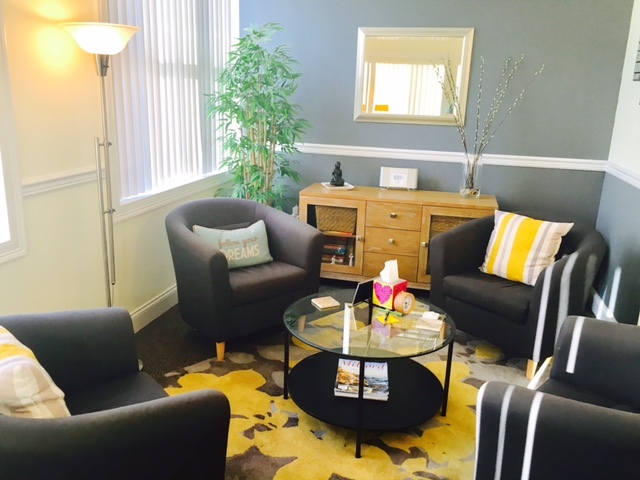 We are professional counselors who provide counseling in our Milford, CT office. We see children, teens and adults. The office is open Tuesday through Friday. We see patients by appointment only. For your convenience, we offer afternoon and evening appointments. We opened our doors in 2002. We work with residents from the towns of Ansonia, Bridgeport, Derby, Fairfield, Hamden, and Milford. Additionally, we see patients from New Haven, Orange, Seymour, Stratford, Shelton, Trumbull and West Haven. In addition, people travel from as far away as Storrs and New York City to see us for sessions. We serve all towns and cities. We look forward to talking to you about how we can help. If you are in crisis and are unable to reach us, call 211 for a Mobile Crisis Unit. You may call your psychiatrist if you cannot reach us. If you are having a clinical emergency, report to your nearest emergency room or call 911. We are professional counselors who work with people much like you. Of importance, our professional counselors can only treat patients they have an expertise in. This is a professional responsibility. Please visit each professional counselor’s biography page by clicking on their name. You can read more information about who they see for counseling and their background. Lisa Taylor-Austin is the practice owner and a licensed professional counselor. She counsels children, teens and adults. Patients must be ages six and older. She has an approachable demeanor and explains things in an understandable manner. Lisa uses different approaches in counseling. First, Cognitive Behavioral Therapy, can teach patients how to look at things in a more realistic and positive manner. Second, Interactive Therapy and Person Centered Therapy help patients feel comfortable and connected. Lastly, she teaches patients skills to help themselves. Lisa sees a diverse population of patients and has extensive experience working in educational settings. Also, Lisa is a renowned international gang expert and specializes in counseling and consultation on gang issues. To learn more about gang intervention, click here. Of importance, gang members are not usually seen in the office. Rather, they are seen elsewhere. First, some people become nervous or scared when they call for counseling. So, we make your experience comfortable. Most important, counseling is an interactive process. As such, you are part of the decision making team. Because of this, you are directly involved in your own care. First, we offer morning, day and evening appointments. Second, confidentiality is important to us. Third, we adhere to all ethical guidelines and HIPAA regulations regarding confidentiality. You may read our Notice of Privacy Practices in the document to the right, on this page. Individual counseling is provided for patients. Therefore, we do not treat couples or families. However, parents and guardians do need to be involved in the counseling process with children and teens. Because of this, we meet with parents regularly in person and by phone. Usually, counseling sessions are 45 or 53 minutes long. First, an evaluation appointment will be arranged for you. At this appointment please bring your insurance card, identification and copay. Payment in full is needed if you are not using insurance. If you have not paid your deductible for the year, we will tell you the contracted rate to pay. Also, all payments are due at the time of the appointment. Next, at the evaluation session you will receive information about your counselor and information regarding confidentiality. Paperwork will be discussed with you. Also, you will be asked to sign it. Lastly, once evaluation is completed, a treatment plan will be discussed with you. Finally, you will be informed of your option to continue counseling with your licensed professional counselor. All people seen for evaluation appointments are not accepted as patients. However, most people are accepted as patients and return to the practice. We do not provide counseling for Attention-Deficit Hyper Activity Disorder or ADHD. Similarly, we do not treat Autism Spectrum Disorder or ASD. Additionally, we do not treat extreme behavioral issues such as, biting, kicking or spitting. Furthermore, we do not treat eating disorders, sexual issues – including sexual offenses. Lastly, we do not treat personality disorders. These are not areas of expertise for us and as a result, are outside the scope of our practice. For that reason, if we begin working with a patient and learn they have these issues, we will refer them to a clinician who is better able to help them. This is a professional ethical obligation. We also cannot see those with Medicare insurance and Workman’s Compensation cases. Most noteworthy, we honor and respect our service people. Therefore, we give a 20% discount to all military personnel and veterans. So, please provide proper military identification. Also, please inform us at your appointment. Of importance, the only way to ensure confidentiality is to pay out of pocket. This way, your diagnosis will not be reported to the Medical Information Bureau by an insurance company. In contrast, using insurance, will probably mean your diagnosis will be reported to MIB. As a result, this can can impact your ability to purchase life insurance or long term care insurance, in the future. When paying out of pocket, the fee per session is $150. You may pay by cash, check, HSA or FSA card. Please ask us if you have questions. Additionally, please call the 800 number on the back of your insurance card and ask which company provides your outpatient mental health coverage. It usually is not the medical insurance company on the front of your card. Of importance, we cannot accept Medicare if it is your primary insurance. Our professional organization is lobbying to get this changed. In conclusion, we look forward to hearing from you and helping you on your journey in life. Lastly, call us today to discuss how we can help you, (203) 522-6164. Finally, it is our Practice Policy that patients are not allowed to switch between counselors in this practice. If you are not happy with your counselor, for any reason, you will need to seek help elsewhere, from a qualified professional. We can help with the transition. Above all, The Taylor-Austin Group, LLC does not and shall not discriminate on the basis of race, color, religion (creed), gender, gender expression, age, national origin (ancestry), disability, marital status, sexual orientation, or military status, in any of its activities or operations.